We are truly grateful for all the nice things that our customers are saying about us. 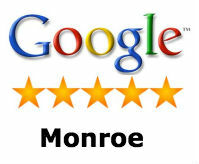 You can find great reviews about us anywhere you look. There are a lot on this page and links below to other pages where there are even more. It is our goal to deliver excellent service to all of our customers. We would be excited for you to become one. Contact us today! You will be impressed. Great job by this company. Prompt service, always on time, great follow-up and a lifetime warranty. Would definitely recommend to anyone needing this service. Their prices were very competitive as well. Flying squirrels!!! Came in; determined problem and cause; sealed house; caught squirrels and were gone! Great service, prompt and efficient. 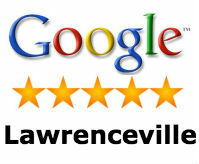 I was extremely satisfied with the quick service and the price. I highly recommend Ga.PAWS. They did a great job on getting rid of the squirrels in my attic and putting the barriers in place to keep them out. They communicated well, were very professional, showed up on time and did the work as promised. Definitely, recommend them….! Excellent, professional;non-judgemental; on time, thorough, will give needed feedback info; pleasant to work with. The cost was very reasonable for the job that needed to be done. THANKS! I enjoyed working with your company. You were professional, considerate of my time and you have an excellent crew. Grey and Flying quirrels nested, mated and ran amuck in our attic for over 6 years due to high removal costs and negative responses from other companies claiming they’d get back in eventually. This company was reasonable, quick and efficient in removing these ’demons’. It’s been over 4 months and the attic is squirrel free! We’ve referred 2 other clients because Ga Paws is the best!! Nick and his team of professionals did a full attic restoration on our house and extensive work to seal up areas where rats and squirrels had gotten into our house. Nick’s team was always on time, professional, courteous and did exactly what they agreed to do. Unfortunately, this kind of service is very rare these days. 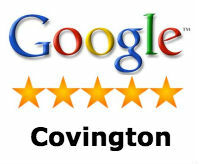 I was extremely impressed and would recommend them for any pest exclusion work. Thanks for a great job!